Raytheon Missile Systems has secured a US$9.5 million firm-fixed-price contract modification to provide life of type support for the AMRAAM with the US Air Force and foreign military sales (FMS) customers, including Australia. This contract modification provides for Advanced Medium Range Air-to-Air Missile (AMRAAM) production Lot 32 for the production of the AMRAAM missile and other AMRAAM system items, including life of type of type procurement of known obsolete components in support of production and sustainment through the program of record and procurement of three guidance section refill stations in support of sustainment efforts. The AMRAAM is a sophisticated air dominance weapon, developed over more than 25 years of design, upgrades, testing and production. AMRAAM's capabilities have been fully demonstrated in more than 4,200 test shots and 10 air-to-air combat victories. 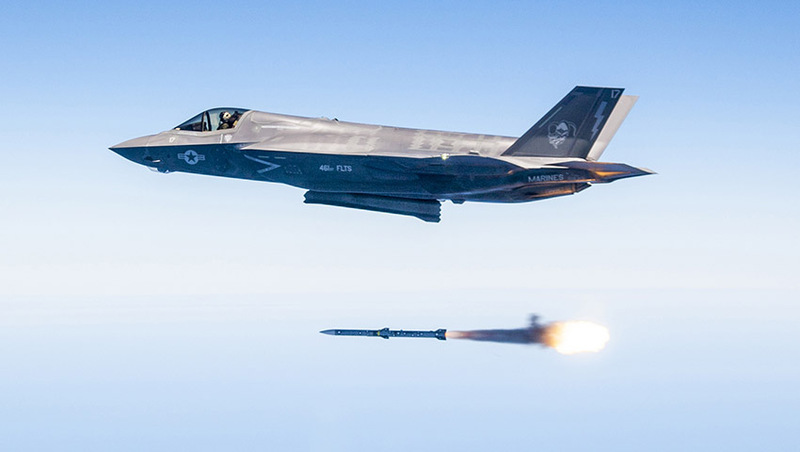 The AMRAAM missile is a versatile and proven weapon with operational flexibility in a wide variety of scenarios, including air-to-air and surface-launch engagements. In the air-to-air role, the weapon's advanced active guidance section provides aircrew with a high degree of combat flexibility and lethality. Its mature seeker design allows it to quickly find targets in the most combat challenging environments. As an FMS customer of the AMRAAM, Australia will benefit from the contract modification. The Royal Australian Air Force currently integrates the AIM-120 AMRAAM into its Classic Hornet, Super Hornet and future F-35A fleets, which will leverage the open system's networked capability and proven design of the AMRAAM system. The AMRAAM system in particular will serve as the primary air-to-air missile system for the RAAF's fleet of F-35s. Raytheon is providing a range of state-of-the-art weapons systems to Australia's F-35 fleet, which will see the aircraft dominate the air, ground and sea domain. "The current weapon systems provided by Raytheon for the F-35A platform include the Advanced Medium-Range Air-to-Air Missile, which is currently the only radar guided air-to-air missile that is cleared to fly on the F-35A," a Raytheon spokesperson told Defence Connect in 2018. Raytheon Company, with 2017 sales of $25 billion and 64,000 employees, is a technology and innovation leader specialising in defence, civil government and cyber security solutions. Raytheon provides electronics, mission systems integration, C5I products and services, sensing, effects and mission support for customers in more than 80 countries.